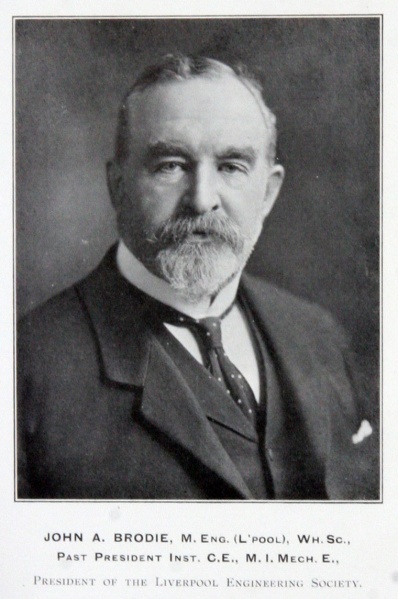 John Alexander Brodie (1858–1934) was a British civil engineer. 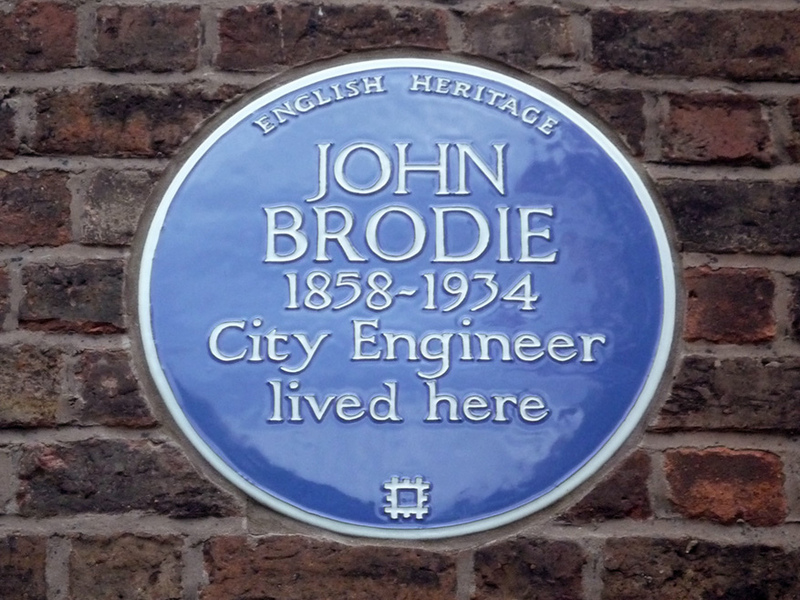 John Brodie was Liverpool’s City Engineer from 1898 until retirement in 1926. He was a pioneer in the field of town planning, and one of his legacies in the city is the network of wide avenues in the outer suburbs. These were conceived from the outset as part of a system of public transport using fast tramways on their own right of way down the central reservation. Unfortunately no equivalent roads were able to be built to accommodate the trams for the 3 to 4 miles between the City centre and the inner ends of these avenues, with the inevitable result that they succumbed to the increasing volumes of motor traffic on often relatively narrow main roads. As part of his plan, he is credited with conceiving the country’s first ring road, now known as Queens Drive. 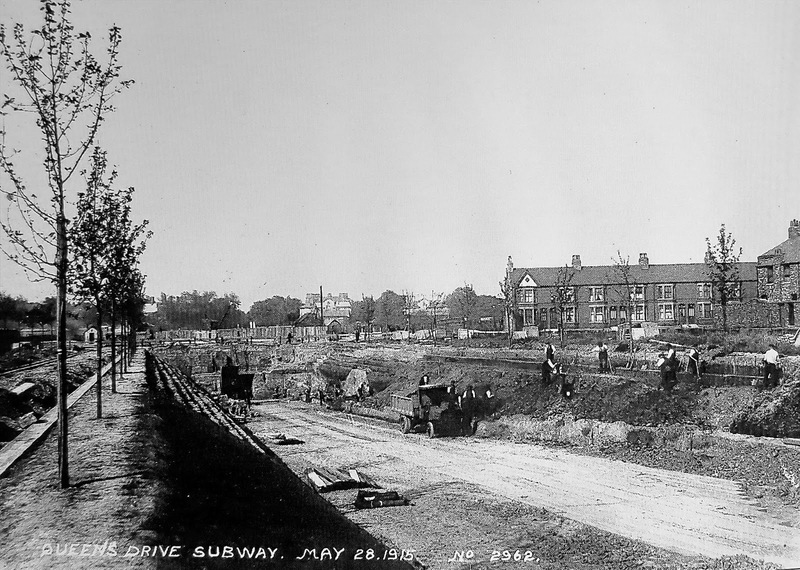 Construction work on Queens Drive 28th May 1915. 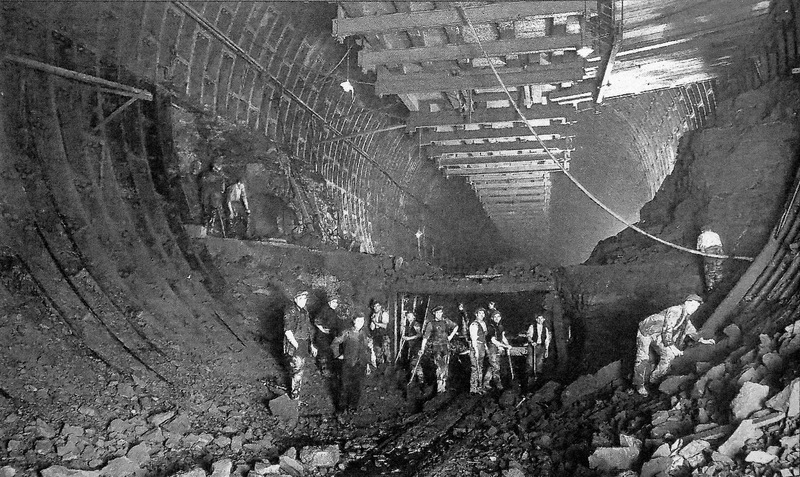 One of his his finest achievements was the building of the original Mersey Tunnel opened in 1934. This too was designed to accommodate a tramway which would have run in the lower half of the tube, under the current roadway. Although the tramway never materialised the tunnel remains one of the greatest ever building projects ever undertaken. Brodie began his professional career in 1875 working in the Mersey Docks and Harbour Board engineering department under Chief Engineer George Fosbery Lyster, following this he set up a private consultancy and spent some time working in Spain. In 1889 he invented the goal net for use in football matches and he said that this was the invention of which he was the most proud. In the game’s early days, goals were defined by two vertical posts. The cross-bar was introduced in 1882. 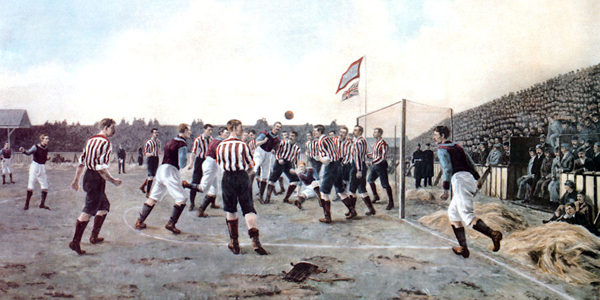 Disputes over whether the ball had passed between the posts or behind them were common and became more vociferous as the sport became more commercial and spectators started to pay to watch their local teams. It was a disallowed goal in a closely fought match between Everton and Accrington on 26 October 1889 that inspired the invention of the goal net. The game was played at Anfield, Everton’s home until the club moved to nearby Goodison Park after a dispute with their landlord in 1892. Among the crowd was John Alexander Brodie (1858-1934) a young civil engineer. In November 1889, he submitted a patent application (no. 19,112) for goal nets for football and other games. The patent was granted on 27 November of the following year. Brodie’s proposal was delightfully simple: a ‘pocket in which the ball may lodge after passing through the goal’. Nets ‘as under Mr Brodie’s patent’ were later approved by the Football Association and first used in an FA Cup final in March 1891 at the Oval, London. Nets became compulsory for all league matches from September 1891 and for all FA Cup ties from 1894. The following videos tell the story of the Goal Net otherwise known as 'the onion bag'. 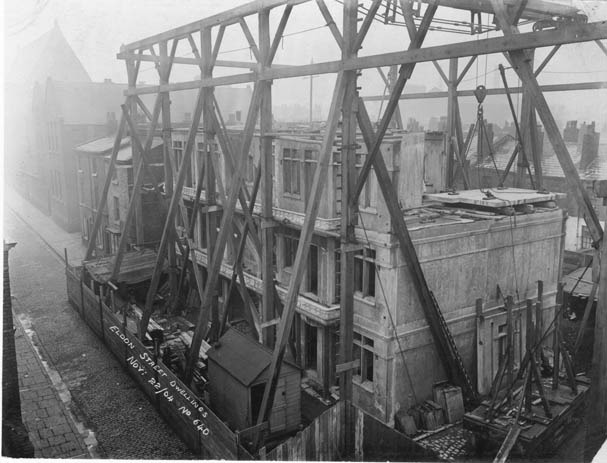 In 1898 Brodie was the city engineer, he was at the fore front of pre-fabricated housing technology promoting the use of pre-cast reinforced concrete slabs as a means of building houses quickly and cheaply, His first experimental houses were in Eldon Street in 1903. He presented an example of this technique to the Cheao Cottages Exhibition at Letchworth where many examples of this kind of building can be found to this day. The design attracted attention from across the world and he is known to have influenced Grosvenor Atterbury who used a similar technique to build the houses at Forest Hills Gardens. 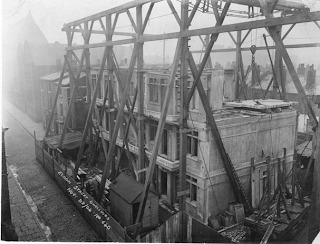 Part of his legacy was his decision to record the work of the City Engineers and to this end he arranged for photographs to be taken of the work being carried out around the city. The Liverpool Records Office now holds all of these archive photographs many of which make up the albums on Liverpool Picturebook. Brodie was also interested in town planning and this was recognised in 1912 when he was asked to help select the site of and plan New Delhi. He visited India twice for this purpose and in 1931 was invited to the official opening ceremony by the Viceroy owing to the high regard that Edwin Lutyens, the chief planner had for him. He served as president of the Institution of Civil Engineers between 1920 and 1921, becoming the first local authority engineer to receive the accolade. He was also an Associate Professor of Engineering at Liverpool University and vice-president of the Liverpool Self-Propelled Traffic Association which would later become a constituent of the Royal Automobile Club (RAC). 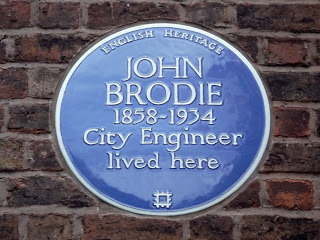 After his death in 1934 Liverpool City Council named Brodie Avenue in his honour.